Company Voluntary Arrangements (CVA or CVAs) are a great way to ease the burden of rising debt by re-analysing your business financials quickly and efficiently. A CVA allows you to make important decisions such as relaxing creditor pressure, cutting luxury expenditure and making structural changes within the business hierarchy. Voluntary Arrangements are a legally binding document that dictates the actions of a company which it must adhere to. This will allow a company to freeze all outstanding debts and provide a repayment scheme which utilises the company’s profits to repay the debt overtime. In essence, a CVA will replace the terms of the company’s existing contracts with new terms as set out in the CVA proposal. At Bloomsbury Law, our specialist Voluntary Arrangements team will assist and support you throughout the process. Our team has acted on behalf of many businesses in need of CVAs over the years which has allowed us to make effective and efficient decisions which help our clients. Once we have analysed your business financials and have established that a CVA is needed, we will help draft a proposal in obtaining support from your creditors. Creditors are open to discussing and negotiating terms of a CVA as their interests lie in the long run objective, which is to achieve a better outcome if the company’s assets were sold. This allows the creditors to secure a return on the outstanding debt while still preserving their relationship with the customer who will open up more opportunities for business and trade. Furthermore, once a CVA is agreed upon, our team can lobby on your behalf to secure new streams and avenues for obtaining fresh funding. 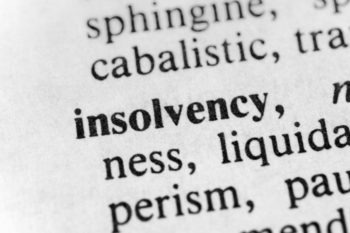 We understand a company Voluntary Arrangement can be a life changing event within your business, but please note it is of the upmost importance to contact a specialist to receive expert advice.